“It’s ALIVE”! That’s right, the first trailer for the latest Frankenstein movie, Victor Frankenstein, has hit. And it’s a big one. The trailer shows James McAvoy in his role as the titular character, Victor Frankenstein, while Daniel Radcliffe fills the shoes of his assistant Igor. “It is a time of innovation and progress. When the world’s greatest minds push the limits of what’s possible, and delve deep into the unthinkable”, narrates Radcliffe, revealing that this retelling of the Mary Shelley horror story will be from Igor’s perspective. The trailer also gives away that Victor Frankenstein will star some top quality names from British TV in supporting roles, including Downton Abbey‘s Lady Sybil Crawley (Jessica Brown Findlay), and Moriarty and Mycroft from Sherlock (Andrew Scott and Mark Gatiss). Meanwhile, the screenplay has been penned by the man behind Chronicle and American Ultra, Max Landis. 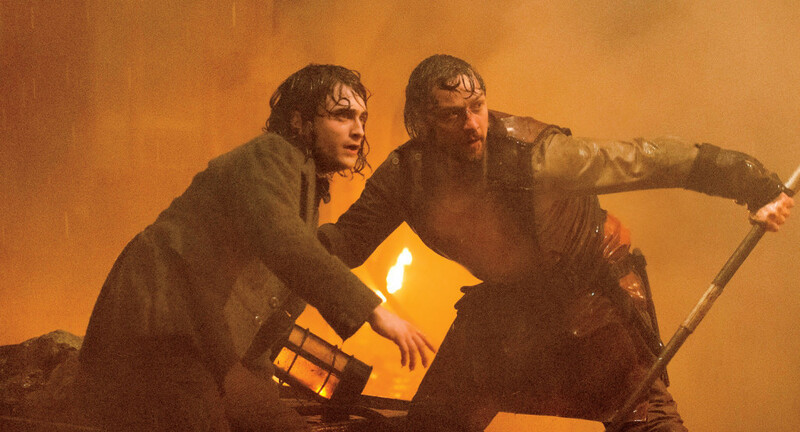 Victor Frankenstein is out on November 25th in the USA, and December 4th in the UK.